Sorry I've been forgetting to blog lately. Life is good, albeit busy. 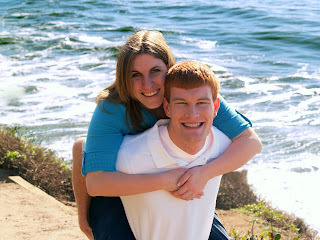 Tomorrow Stacey and I are getting our wedding formal pictures taken. I am excited to see my princess in her wedding dress. In 2 weeks, our familes come to Provo and I will take Stacey to the temple. Then one week after that, Stacey and I will go to the Los Angeles Temple and be married. I can't wait. This is a very exciting time in my life. I feel like my real life is about to start. I never did post any of my engagement pictures up. This first one is the picture we sent out with our invitations. The others are some of my favorites.